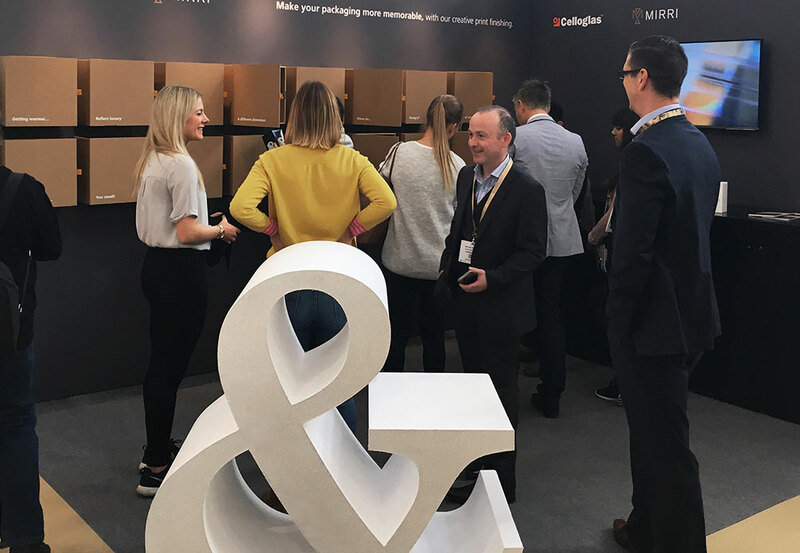 Last week, we were over at the Packaging Innovations show at Olympia, on a mission to reintroduce our print finishes to brands and designers and ask them to “forget what you think you know about us and discover new possibilities”. 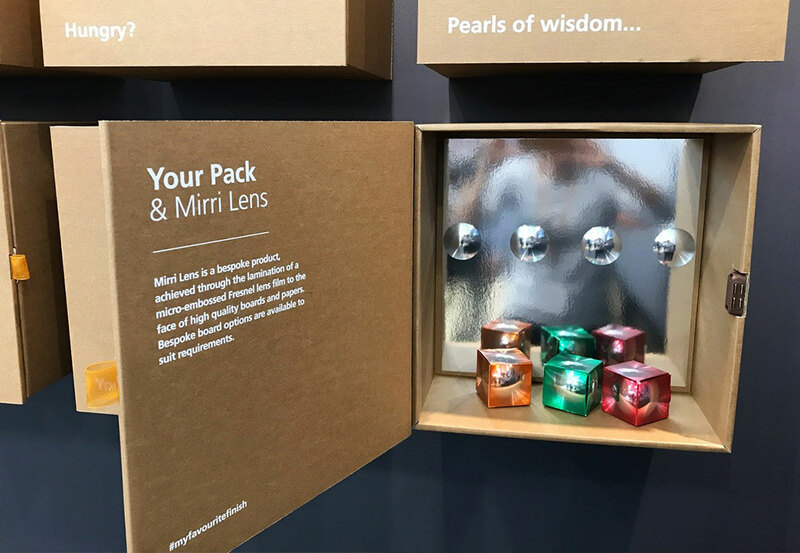 Keen to widen imaginations and get creativity flowing, we’re helping our audiences to understand the scope within our infinite creative finishes, especially of what can be achieved when used alongside Mirri our metallic paper and board. Amongst the print finishes on show were thermochromic ink, foil blocking with an emboss, glow in the dark ink, debossing, glitter varnish, soft touch lamination and textured finishes such as our new product, Stipple Varnish.